The Morne Plat Pays volcanic complex occupies the southern tip of the island of Dominica and has been active throughout the Holocene. An arcuate caldera that formed about 39,000 years ago as a result of a major explosive eruption and flank collapse is open to Soufrière Bay on the west. This depression cuts the SW side of Morne Plat Pays stratovolcano and extends to the southern tip of Dominica. At least a dozen small post-caldera lava domes were emplaced within and outside this depression, including one submarine dome south of Scotts Head. 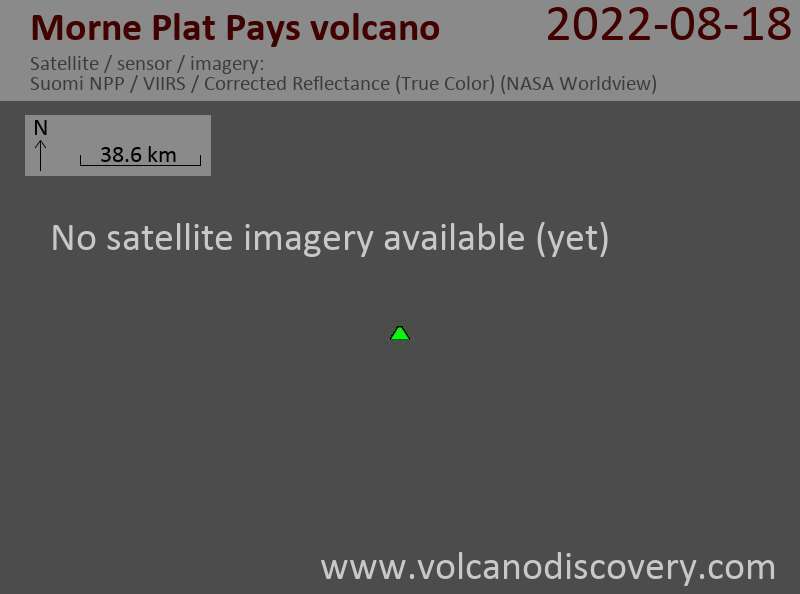 The latest dated eruptions at the Morne Plat Pays complex occurred from the Morne Patates lava dome about 1270 AD, although younger deposits have not yet been dated. The Morne Plat Pays complex is the site of extensive fumarolic activity, and at least ten swarms of small-magnitude earthquakes, none associated with eruptive activity, have occurred since 1765 at Morne Patates.